Let me start with an explanation of what these programs are intended to do. Evernote and OneNote are software applications (apps) that allow the user to collect digital information, save and organize it in virtual notebooks. That is the simple explanation. This digital collection is organized by virtual notebooks that can be grouped, labeled or tagged, hold just about any digital data (including; audio files, video files, links, websites, documents, files, pdf and images) and be shared. What is important to remember as you explore these apps is how you like to work and what you are comfortable with. If you are a Windows user and just love it then you might be more comfortable with OneNote. 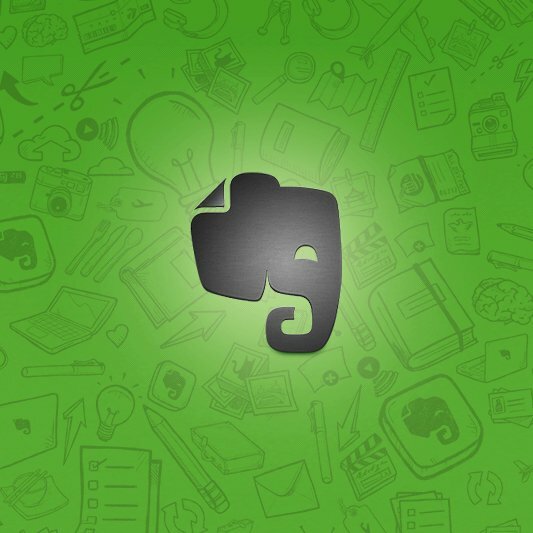 If you are a Mac user or dual platform, then Evernote might be a more seamless solution. Whatever the situation as long as it works for you, that is what is important. Below is a feature by feature list comparing Evernote and OneNote. Clean blank area to type. Looks and feels like Word. Click anywhere on the page and a text box appears and will expand as you type. Ability to upload: images, audio, video, pdf & documents. Attaches the files, audio & video. Embeds image files inline into the note. Can access the webcam to get an image. Ability to integrate mobile phone recorded. Indexes spoken words, words in images and documents for searching. All media can be placed anywhere on the note page and become icons to be played. Images are inline with text-boxes. Penultimate by Evernote works nicely and has the handwriting recognition. It will also upload & sync the entire Notebook. There are other third-party applications that sync as well. Once note is uploaded to Evernote it cannot be edited in Evernote. Handwritten ink can go anywhere on the page and can be moved. Note can be edited at any later time. Only has the ability to bullet, number and checkboxes. Third party apps usually have templates available. Comes with many preinstalled templates for personal and business use. Has a strong presence in the mobile arena. Strong “sister” apps including Hello, Skitch, Peek and Food that integrate into Evernote. Not a strong mobile presence (just recently released the Apple version). Optical Character Recognition (OCR) for searching images, notes, documents, etc. Web version closely matches the Desktop and Mobile. Available for Windows, Mac OSX and Windows version will run on Linux client under Wine. Web version closely matches the Desktop app. Only available for Windows clientsNot included with Office for Mac. Syncs settings are 15min, 30min, 60min or daily. Share notes with others via Facebook, Twitter, LinkedIn, email, or direct URL. Collaboration only with Premium or Business versions. Keeps previous versions of the notebook just in case. Really liked what you had to say in your post, Evernote vs. OneNote | Tabaldo on Tech, thanks for the good read!